Unfortunately, the ACL cannot heal itself. Proper medical treatment is required to repair an ACL tear. When there is a complete rupture and the ligament is not functioning, the best treatment consists of surgery, including the reconstruction of a new ligament. If the patient has only experienced a partial tear, and the knee is not unstable, physiotherapy and nonoperative measures can often be effective. 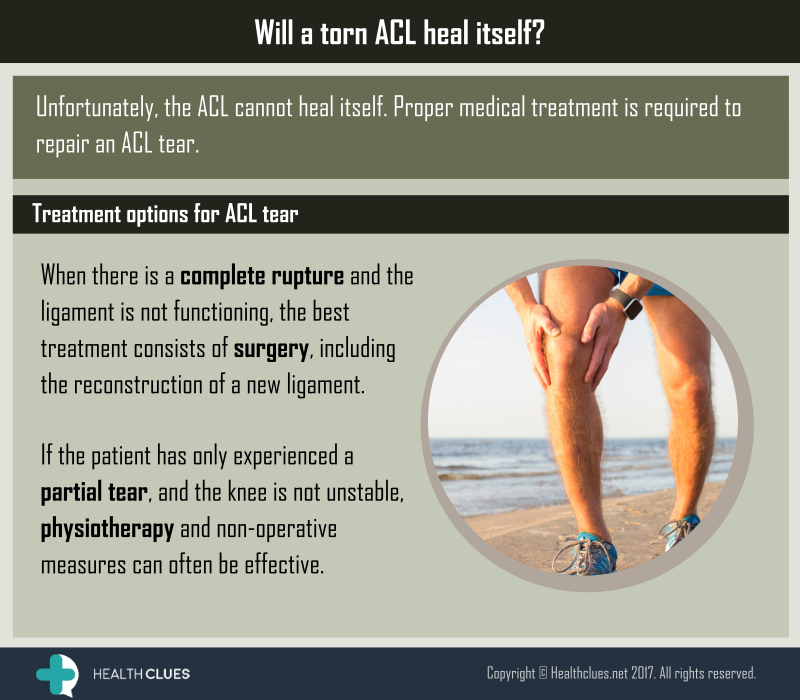 ACL Tear, Infographics ACL injury, ACL tear, knee injury, sports injury. permalink.